Considering that the current state of politics is rather depressing (that’s putting it nicely), it would be smart of you to start hoarding cannabis for your own safety – and sanity. But the most sustainable way to make sure that you always have a stash is to grow your own, which will start with seeds. Whether you only have space for a plant in your closet, or you can afford to grow several plants in your backyard (share! ), it’s not too early to start planning your own little grow. But why start from seed, if you can buy at a dispensary? 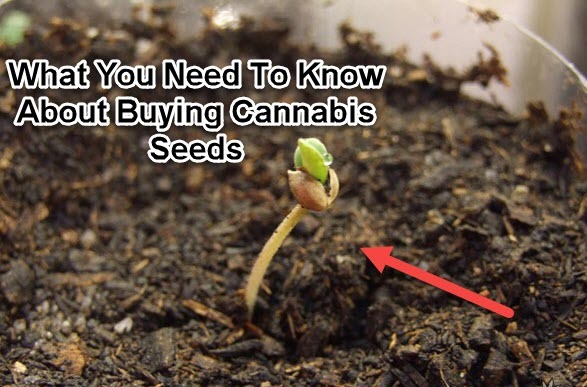 Starting from seed will produce a tap root, which works to “anchor” the cannabis plant in your soil. Cannabis clones don’t have the same capability of producing tap roots since they can only produce fibrous root systems, which makes them less sturdy and they won’t be able to absorb as many nutrients. Tap roots can go deep underground to reach water and nutrients, which is needed especially for outdoor environments. Tap roots are a primary aspect of a plant’s root system, so if you want to be sure you’re growing a healthy plant – go for seeds.